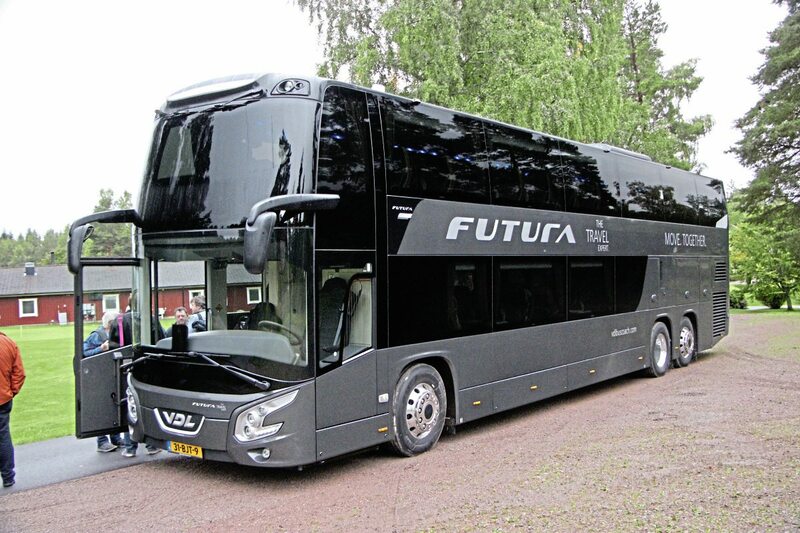 Never before has there been a double-deck member of the Futura family, and the arrival of the Futura FDD2 signals another step towards the final unification of VDL’s constituent brands under the VDL banner, the only remaining exception being the recently updated Jonckheere JHV2. 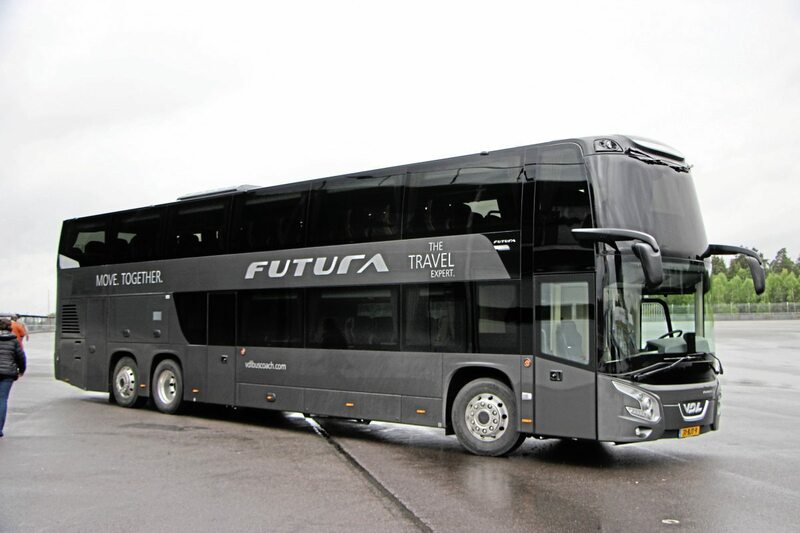 Of VDL’s constituent Berkhof, Bova and Jonckheere coachbuilding concerns, both Berkhof and Jonckheere formerly offered double-deckers, with the FDD2 taking over from the Synergy model that was itself a development of the Berkhof Axial 100. 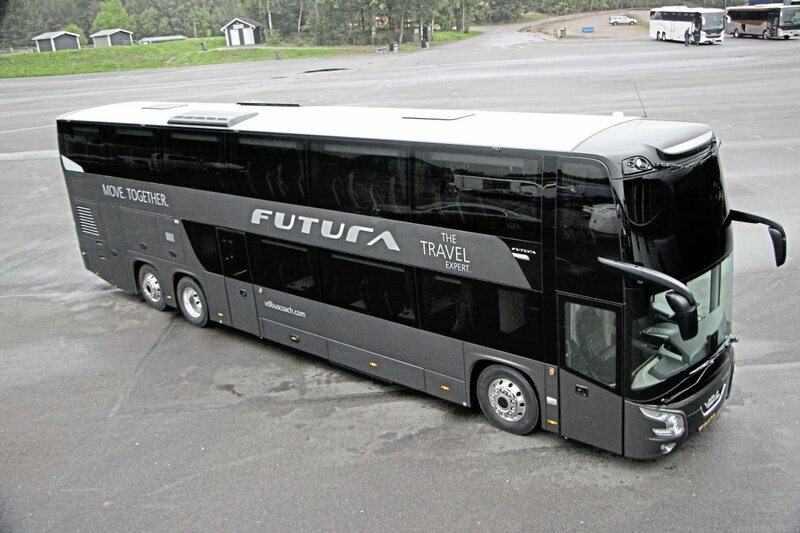 A ground-up new model incorporating not only the look but many components from other members of the Futura range, the arrival of the FDD2 set a new benchmark for double-deckers in terms of the attractiveness of interiors and the use of space, one result of which is a luggage capacity of 9.3cum. 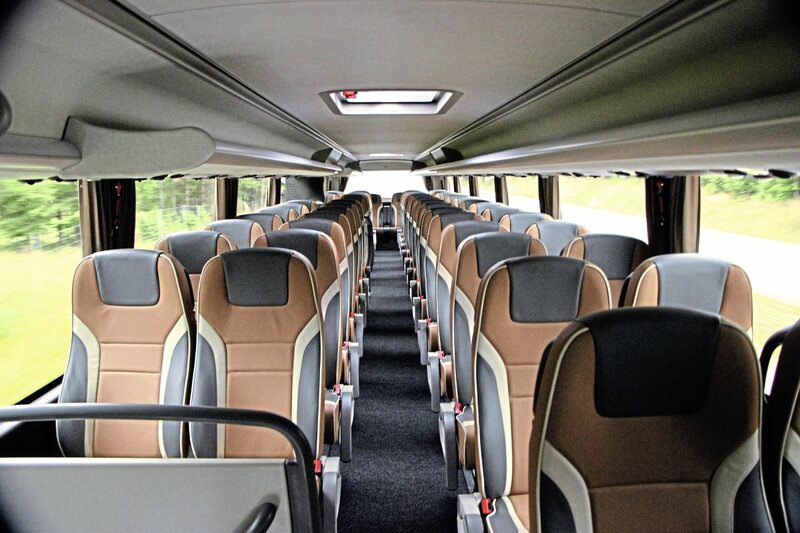 Built in Valkenswaard, it is an integral design that employs strong yet lightweight components in its frame, including sandwich materials for the roof and interdeck floor, enabling it to achieve low fuel consumption and class-leading passenger headroom of 1.86m on the lower deck and 1.72m on the upper deck. VDL’s own tests against competitors produced fuel consumption figures of 27.4 litres/100km (10.31mpg) while independent tests gave 27.8 litres/100km (10.16mpg) which represented an annual fuel saving of between 8.2% and 16.5% compared with competitors, equivalent to between E11,500 and E23,000 in fuel costs, not to mention the reduction in CO2 produced. 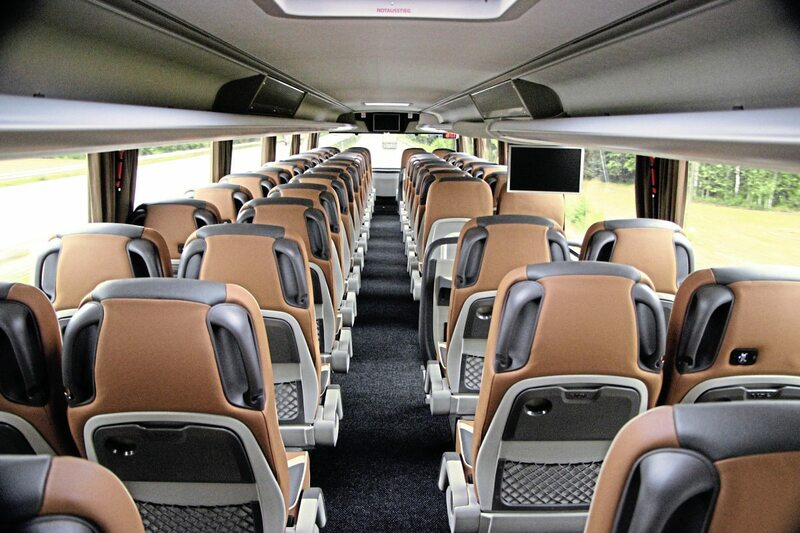 On the coach entered, VDL had opted for a five-star configuration on the lower deck, with 16 VDL Class 50 seats set around four tables, while the upper deck featured 58 VDL Class 300 seats to a four-star specification giving a total capacity of 74. It is possible to delete the toilet option and fit different seats to get a maximum capacity of 94 within the 14.145m overall envelope. 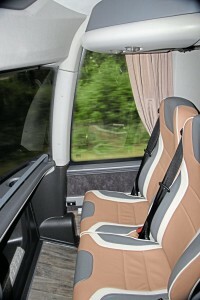 VDL has really gone for quality with the materials used in the interior and there is a lot of attention to detail. An example is the staircases which have excellent rails all the way up and down both staircases, with handles neatly set into side mouldings where it would have been very easy not to have bothered doing so. Not only is it well thought out, it looks the part with LED step lights (all lighting is LED), and light-coloured panel finishes. Another detail I really appreciate is the way the driver’s view has been significantly enhanced by angling the lower deck ceiling up at the forward edge without impinging on upper deck foot room. 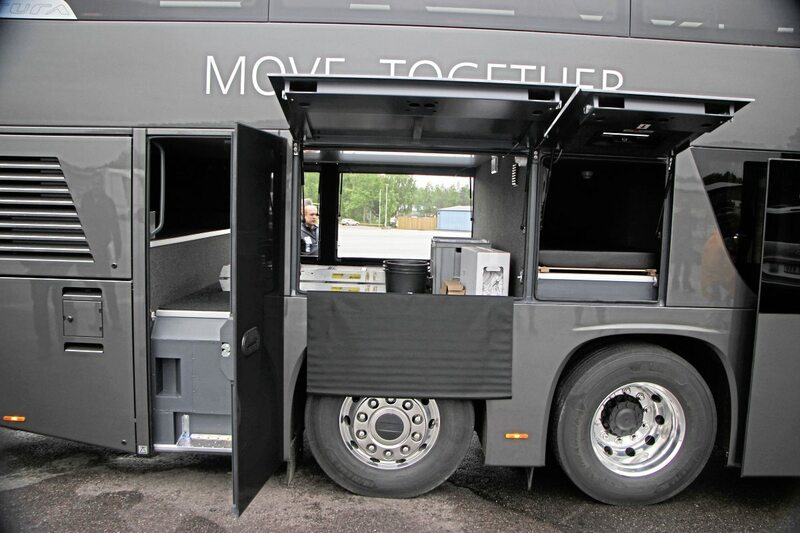 This enables the mirrors to be mounted higher than they otherwise would be to reduce the risk to pedestrians. 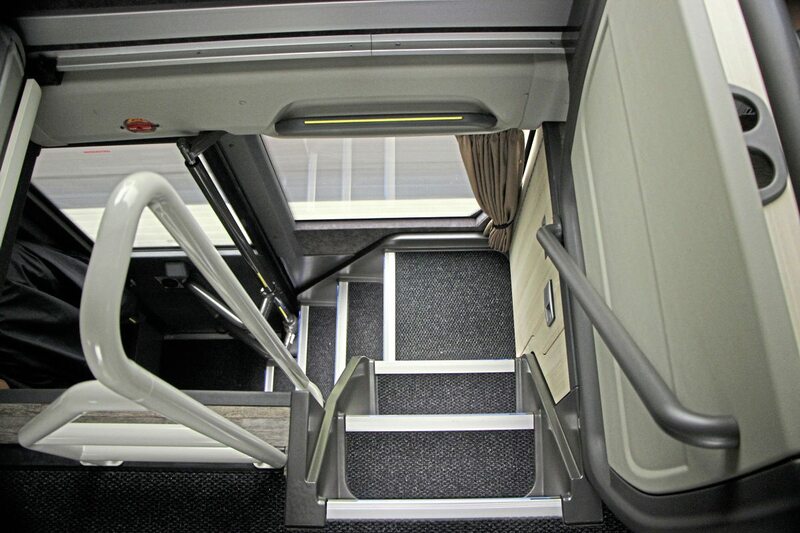 Along with this, on the upper deck there are new foot insets for the front-row passengers, although these cannot be fitted when a destination display is specified. Apart from a rather dark tint to the front upper-deck window that made the grey weather look even duller, my only criticism was of the useful storage bins between to two groups of seats on the lower deck, the substantial drawers of which were roller-mounted and slid out when cornering if they had not been properly shut, with the consequent potential for trip hazard. Mounted at the rear offside of the lower deck the toilet compartment was spacious and easily accessed. 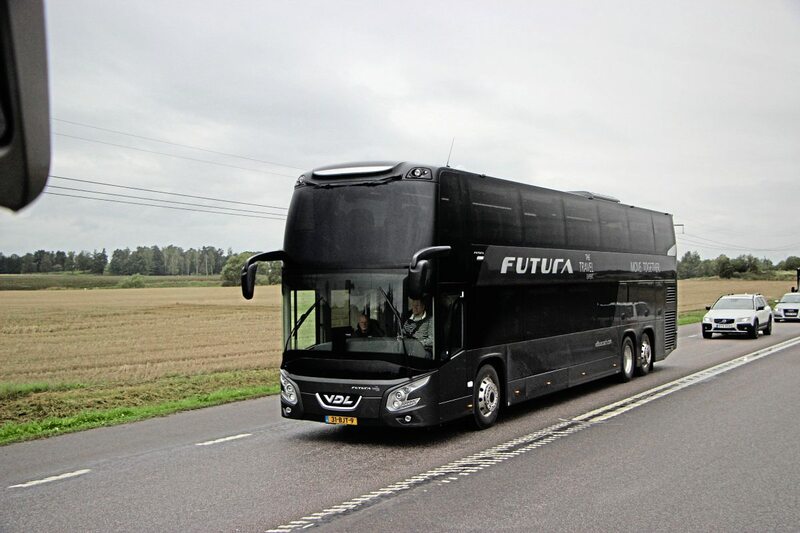 A 52-degree steering angle enables the FDD2 to achieve a 24.3m turning circle despite it being marginally the longest of the participating coaches. 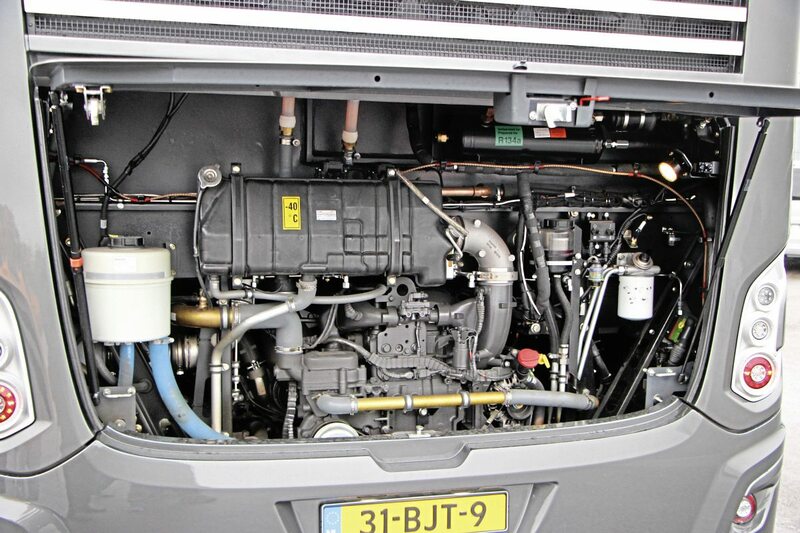 With optional fuel tanks fitted of 252 and 205 litres respectively as well as the standard 445 litre tank the 902 maximum gives a range of around 3,000km enabling an operator to fuel where the prices are most advantageous on lengthy tour work. Drivers liked the comparative spaciousness of the cab, the excellent visibility, the stability and the match of the powerful DAF MX13 510hp engine with the AS-tronic gearbox. 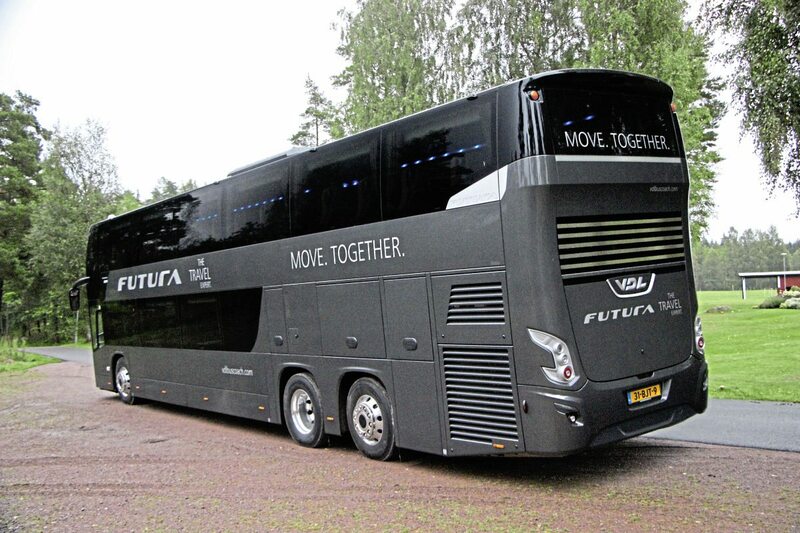 One juror went as far as to claim it didn’t feel like a double-decker to drive but like a single-deck. Criticisms were of the positioning of the parking brake which was difficult to reach, the rather sensitive steering and the relatively small area cleared by the upper deck wipers and it was noted that you needed to remember the spare wheel was mounted near the midpoint of the wheelbase, so care was required when boarding ferries.